Associated with the concepts of arrangement or combination, the notion of order can be understood during the 19th century as a way of arranging objects in space and is mobilized in branches as varied as mathematical sciences, crystallography, chemistry, life sciences, philosophy and ornamental studies. Thus defined, the notion of order can then constitute a meeting point between these different domains. 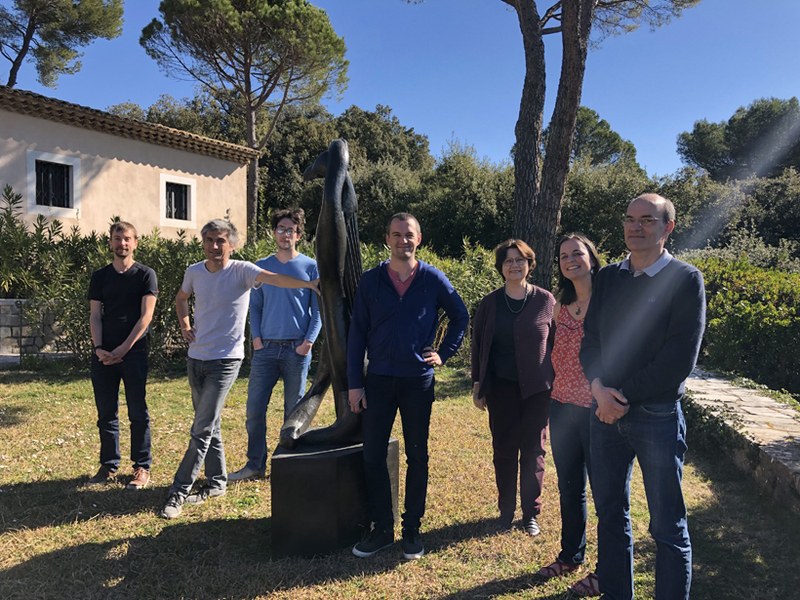 The goal of workshop at the Fondation des Treilles was to bring together about ten historians and philosophers of science and art who have been working since 2014 on the notion of order, to finalize a project for a collective book on encounters around order and combinations in the 19th century, to be published in 2020. Of the twelve participants initially planned, two are junior researchers and the two organizers defended their PhD thesis in 2011. Each day was organized in three phases: collective exchanges around a predefined theme – interactions and transfers between scholars and knowledge; reflections on life and crystal sciences in the 19th century; links between the corpora of the different articles of the book; status, uses and circulation of illustrations and diagrams used in connection with the concepts of order –, meetings between contributors to the same chapter, individual research and writing times. This entry was posted in Activities, Reviews. Bookmark the permalink.